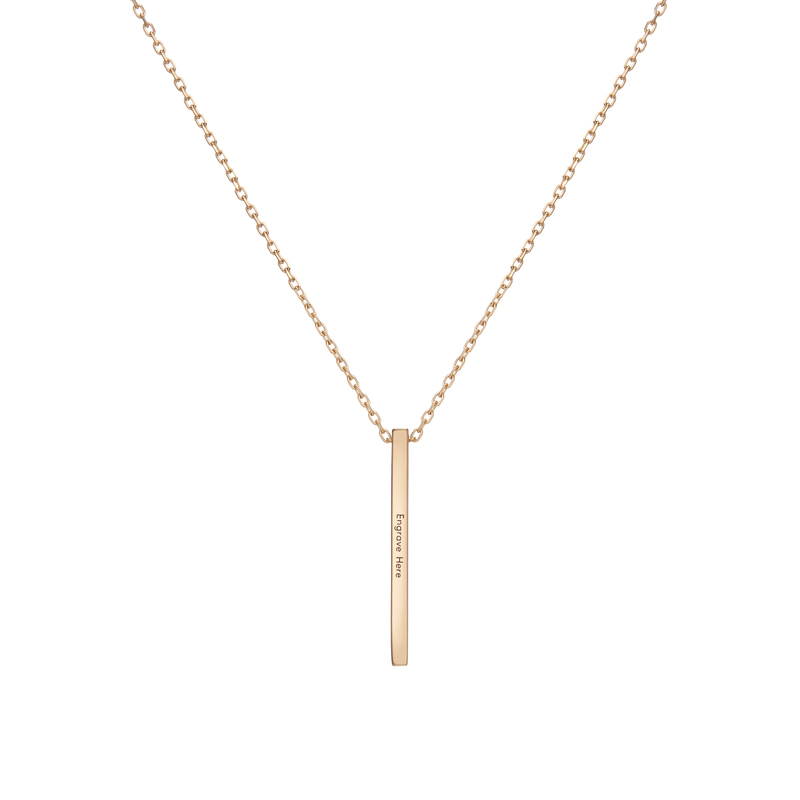 Featuring a single short bar pendant in purest gold, the simple rectangular form really allows the beauty of its material nature to shine through. Effortlessly easy and endlessly versatile, it can be worn at your choice of two lengths, or customised with your own engraving. A geometric gold pendant with a hidden bail hangs from a gold chain, secured by a lobster clasp with two jump rings for size adjustments.